Albert Waeschle Veterinary are exhibiting again!! This time it’s the Vets North Veterinary Congress in Manchester. 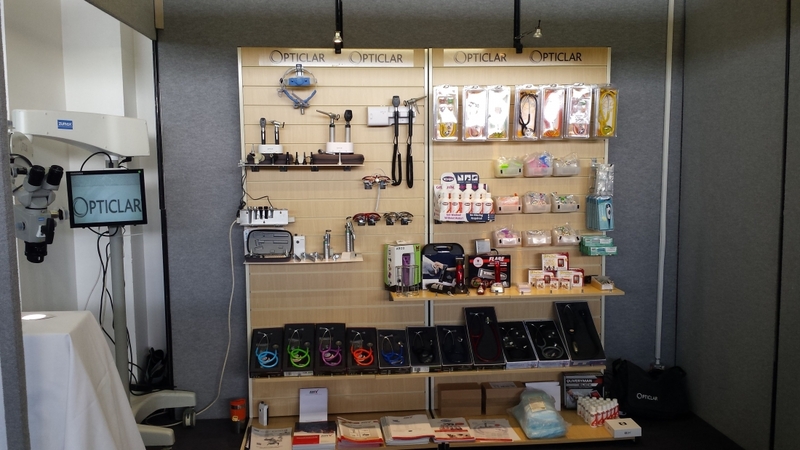 With an array of CPD lectures supported by companies promoting products and services relevant to the Veterinary market this meeting has provided the perfect opportunity for us to promote the OPTICLAR range of microscopes. Used for Veterinary dental procedures and examinations these microscopes deliver the capability to have high definition recordings of images or videos transferred to PC or viewed through a monitor. One happy customer is Bob Partridge, a founder member of the British Veterinary Dental Association (BVDA) in 1988. He has served for a number of years on BSAVA Congress Committee as well as being the President of the Veterinary Hospitals Association for over ten years. In 2006 he was elected to the Royal College of Veterinary Surgeons Council (the governing body of UK vets) and in 2011 he achieved Diplomate status of the European Veterinary Dental College going on to serve as Secretary for the European College of Veterinary Dentistry. In 1992 Bob created the first Veterinary Hospital in North Yorkshire, an integral part of this development was the “Peter Emily Dental Theatre” which saw the numbers and complexity of the dental cases (both internal and referred) increase. As a leading practitioner with the veterinary dental field Bob has always been keen to use the best available equipment within this field. In 2015 Bob became the first Veterinary dentist to purchase a dedicated dental microscope specifically for use in veterinary dental work. With the built in video camera this microscope not only assists Bob in his day to day dental work but enables him to record his work for teaching and publication.